Casitas del Monte resales, save 50% or more, golf vacations, timeshare resales. Casitas del Monte offers a secluded atmosphere where you can relax and unwind, yet it is within minutes of Palm Springs' popular attractions. Resort amenities include an outdoor pool, whirlpool, gazebo, and sun deck. 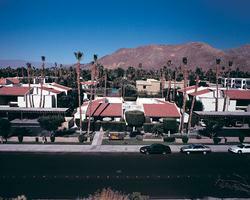 The resort is only three blocks from the nearest golf course, and tennis buffs will find courts just a mile away. For sight-seeing, take a horseback ride through the Andreas or Tahquitz canyons or ride on the Palm Springs Aerial Tram, which takes you from the base of Mount San Jacinto to the mountaintop station, located at an elevation of 8,520 feet.